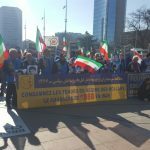 MEK supporters rally opposite UN Geneva amid the Fortieth Session of the Human Rights Council, to protest Javad Zarif’s planned speech at the council. Protesters called for regime’s accountability for the 1988 massacre of 30,000 political prisoners and for the ongoing violations of human rights in Iran, urging the UN to expel regime’s representatives from the Council. 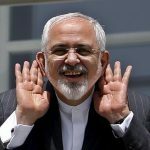 Members of the Iranian diaspora across Europe and their international allies gathered in Geneva to protest the arrival of the regime’s foreign minister Javad Zarif at the UN. 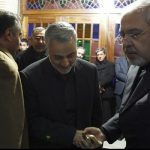 As the UN’s fortieth Human Rights Council convened, the Iranian resistance used Zarif’s arrival as an opportunity to draw attention to the glaring human rights violations perpetuated by the Iranian regime. Under current President Hassan Rouhani, the Iranian regime has carried out at least 3,590 executions, including 30 executions on those that were juveniles when the crime was allegedly committed. This figure makes Iran the country with the highest rate of executions per capita in the world. 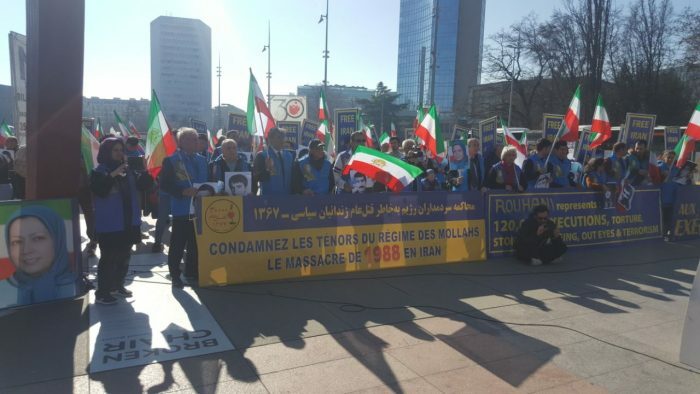 As members of the Iranian resistance protested the regime’s atrocities in Geneva, they carried images of those executed by the mullahs over the forty years of their tyrannical rule. 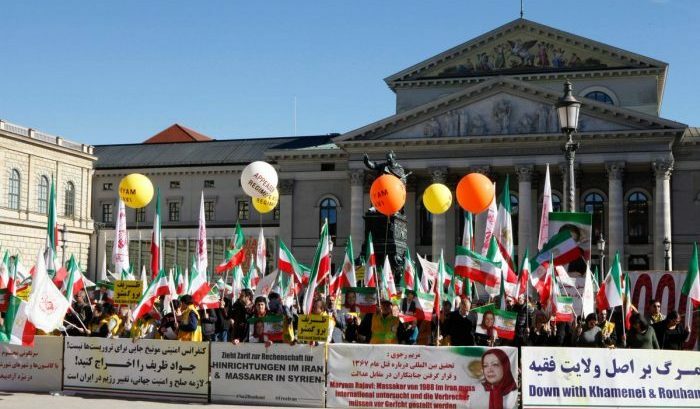 They also carried banners condemning the regime’s 1988 massacre of the People’s Mujahedin Organisation of Iran (MEK). 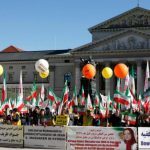 Over the space of a single summer in 1988, the clerical regime executed around 30,000 members of the political opposition group, the MEK. In Geneva, a small exhibit dedicated to the 30,000 victims of the massacre was erected. The protestors echoed Amnesty International’s recent calls for the UN to open an investigation into the massacre and hold those accountable to justice. 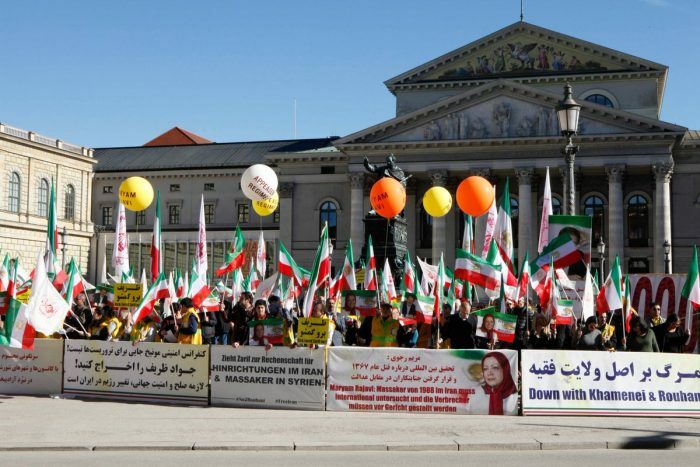 The protestors also expressed their anger and dismay at the regime’s state-sponsored terror activities that played out across Europe and the West in 2018. 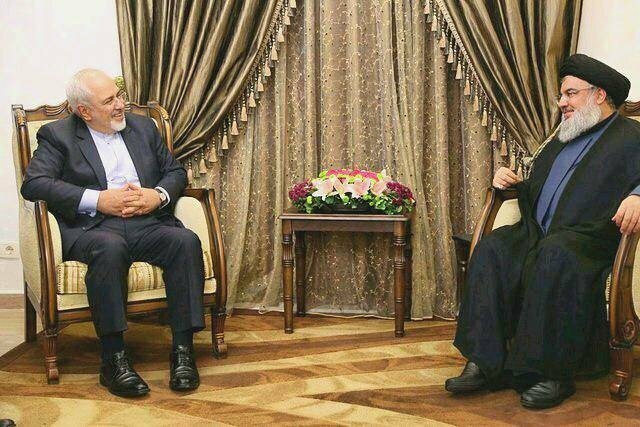 The regime was involved in the planning of terror attacks in France, Albania, and the US. 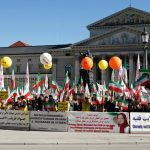 The protestors in Geneva called on the European governments to expel Iranian diplomats and prevent the regime using diplomatic buildings and figures as cover for underground terror activities. The protestors held banners with messages stating that there is no place in the UN for executioners and terrorist-agents. 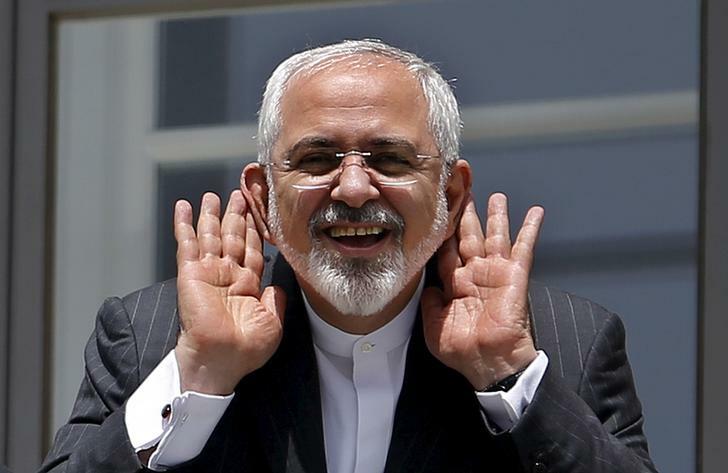 As protestors gathered, Javad Zarif issued his resignation in a surprise twist of events. 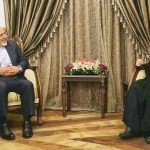 His resignations underscored protestors messages that the Iranian regime is in turmoil. 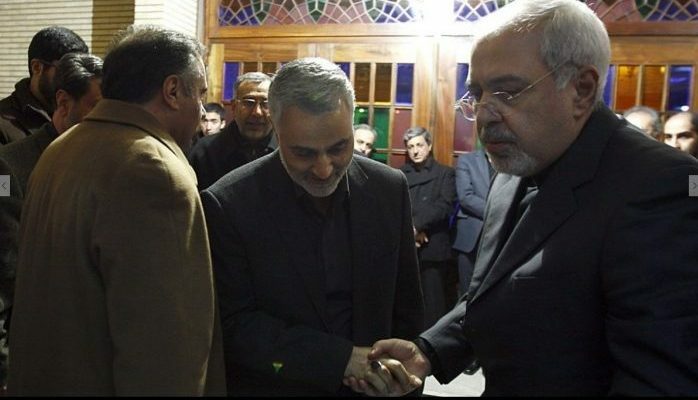 Infighting has caused deep rifts in the leadership, which most likely prompted Zarif’s sudden resignation.